A copper Birch cent, minted in 1792, is up for sale in Baltimore and it’s worth an estimated $2 million, according to Stack’s Bowers auctioneers. The collector’s item is one of the first pieces of US currency ever forged and one of seven coins of its kind that still exist. 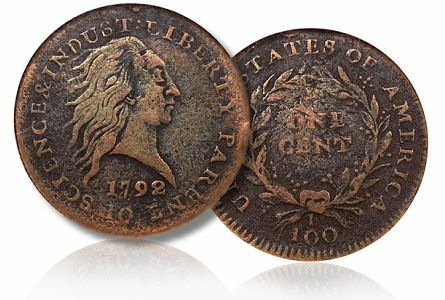 The colonial-era coin will hit the auction block on March 26, along with other rarities that include a 1792 silver center cent and four known, certified and original Confederate States half-dollars. “We expect that once collectors see how special these coins are, the competition in the auction room will be intense,” Stack’s Bowers President Brian Kendrella said. The Birch cent is expected to fetch at least $2 million at a time when the coin market is at its highest peak, according to Bloomberg Business. Another Birch coin sold for $2.6 million in January.